Home Blog HTML5 gaming is doing well! 2013 seems to be good and promising for HTML5 gaming. 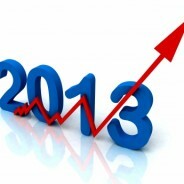 Despite the bad press it had in the past year, performance issues, and the situations where huge companies gave up on it’s development, we can see that 2013 may be a crucial and positive year for web gaming. We often hear that “HTML5 is not ready. It’s not working. It won’t work. It will be a failure.” According to Henry Hoffman who is Mudvark’s Creative Director, “The idea that HTML5 delivers poor performance is all a lie perpetuated by people who don’t like HTML5 very much.” Are those only the words of disbelievers or straight facts? Let’s try to find out by looking at recent events and facts. So, how is really HTML5 gaming doing now? Alexander Krug, CEO of Softgames, is like me, a huge HTML5 gaming support. You can find his speech from Casual Connect above. I agree with those arguments. Alexander also confirms that 2012 was tough, but the situation is now getting better. The most important parts of his speech show us that HTML5 is a different and very innovative platform for gaming. Developers have various ways to distribute, promote and monetize their games. Updates are easier, and you can play web games practically on any browser supporting device without downloads. I’m showing this video because many people I talked to still don’t understand how well the idea of web based gaming can work. I hope this video will bring better understanding of the whole idea, and it can also prove that it works well, brings benefits to developers, and is fun for gamers. What is most important is that the gaming market truly indicates the need for web based gaming now. You may notice a growing number of publishers and investments into new web based projects. Following Alexander’s speech, I have also confirmed that depending on the business model you choose, web mobile gaming can earn money for your business. Based on our company experiences, we noticed a vast growth of networks, and while I showed you that growth in the last infographic, at this moment I can only say that the number of interested publishers we met is even higher. HTML5 gaming lies in a niche, and we can’t compare it to native markets, HTML5 is a different area and technology. Despite the bad predictions, we proved that you can earn revenues from a couple business models. With the proper approach and knowledge of the market, a developer needs to focus on specific game types, and those games need to be match to specific business models. It is also claimed that mobile gaming is set to overtake handheld gaming. According to IDC, gamers will spend more money on mobile games (smartphone, tablets) in 2013 than on handheld games. This is very interesting because mobile devices weren’t constructed as actual gaming consoles, and still they have become very popular gaming devices. The phenomena comes from the easy access to games, I believe. This becomes even easier with HTML5, because players won’t be redirected to app stores. They will just click the link and play. That is a great way for HTML5 gaming publishers to promote their mobile gaming networks and for developers to produce more web mobile games for the market. Many developers use various engines such as Construct2, ImpactJS, Crafty, Game Closure, etc. You may find the list HERE. But two recent events proved the real power of HTML5 and its capabilities. Turbulenz made their game engine open source which is a fantastic opportunity for many developers. The 2D/3D possibilites of this engine are really awesome. I had a chance to play Save the day based on Turbulenz engine, and I must admit that this game not only looks and works great, but the gameplay is very entertaining and I couldn’t step away from it easy. Another amazing example of the powers within HTML5 is the Citadel demo which is based on the Unreal engine. This is really astonishing, and I believe it proves that HTML5 can be a great successor to Flash. I just couldn’t forget about Tizen, “An open source, standards-based software platform supported by leading mobile operators, device manufacturers, and silicon suppliers for multiple device categories such as smartphones, tablets, netbooks, in-vehicle infotainment devices, and smart TVs.” Isn’t that an obvious gesture toward developers? It may be a solution to many issues. Tizen is compatible with various mobile platforms. All apps made with it will run in other systems with slight changes (because Android and IOS applications run only under those operating systems). I’m sure that many more advantages can show up soon, and when new smartphones start adding more processor cores, then web mobile applications and games will definitely have better performance. As a short summary I can only tell that I’ll keep this blog updated with news from the HTML5 gaming world. At this moment I can confirm that HTML5 is prospering and proving that despite the bad predictions the situation is better. Games are not only looking better but are also working better. The HTML5 market may not be as huge as native market, but we need to remember that it is a niche – a niche with its own technology, promotion and distribution channels.